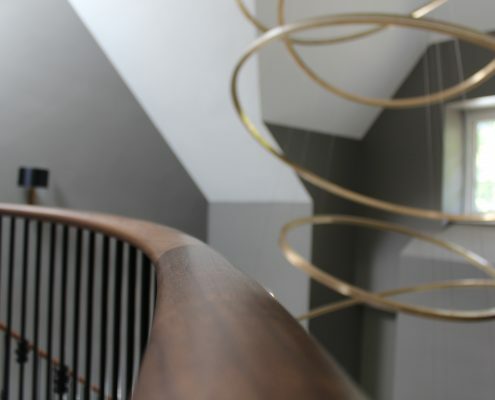 When a self-build client asked us if we could help him with his dream home, we spoke with his interior designer and came up with this stunning solution. 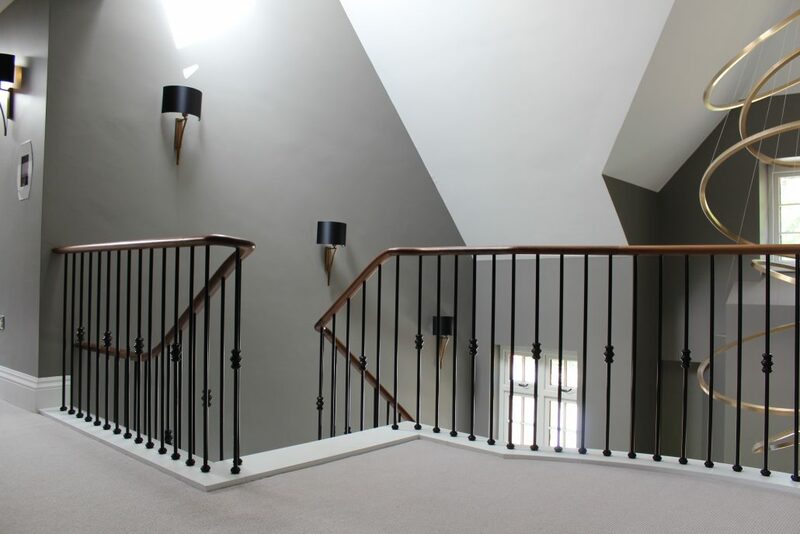 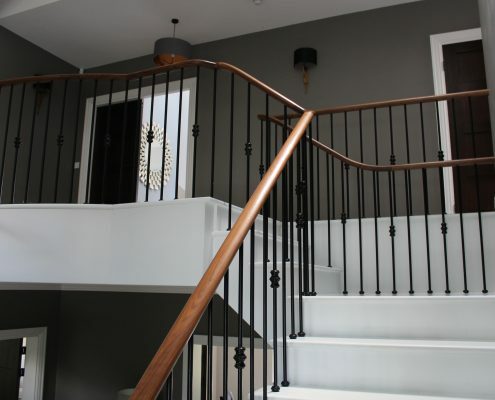 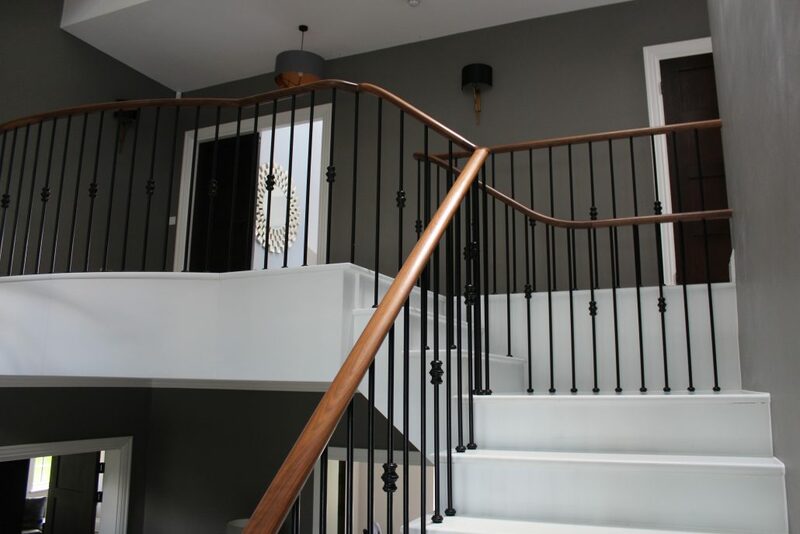 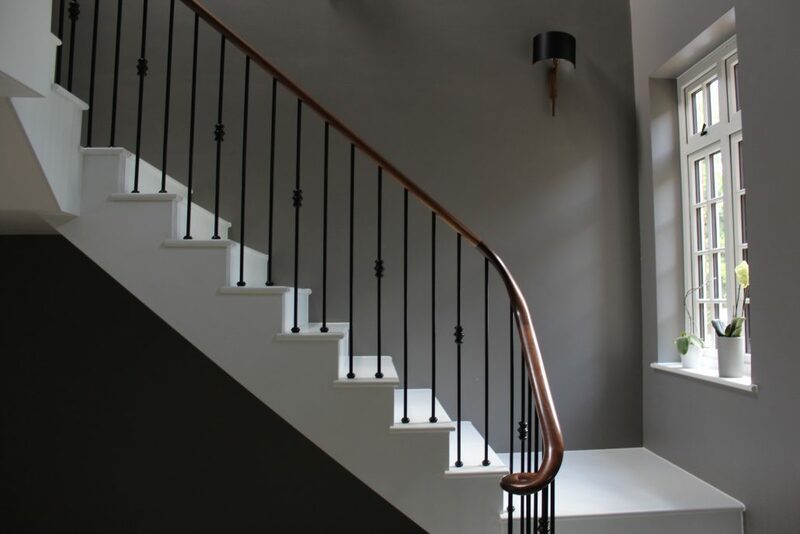 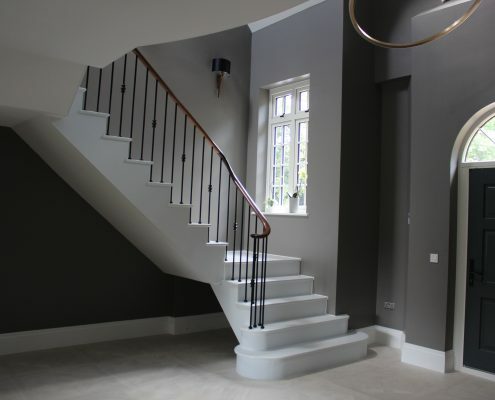 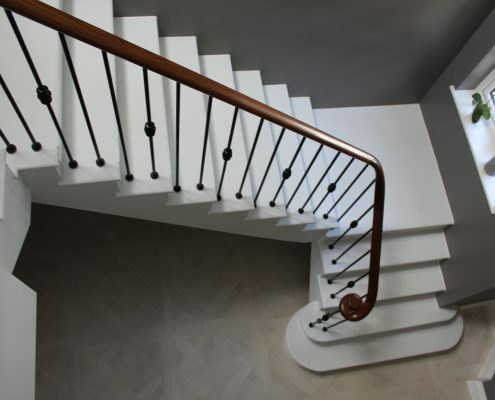 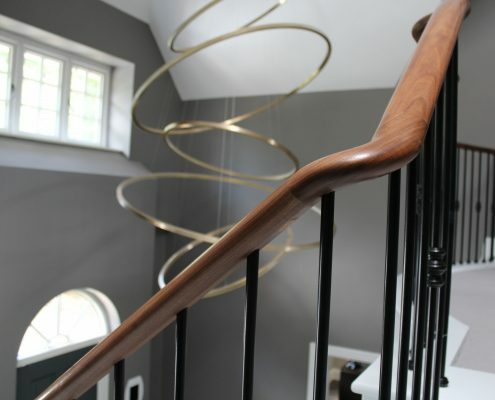 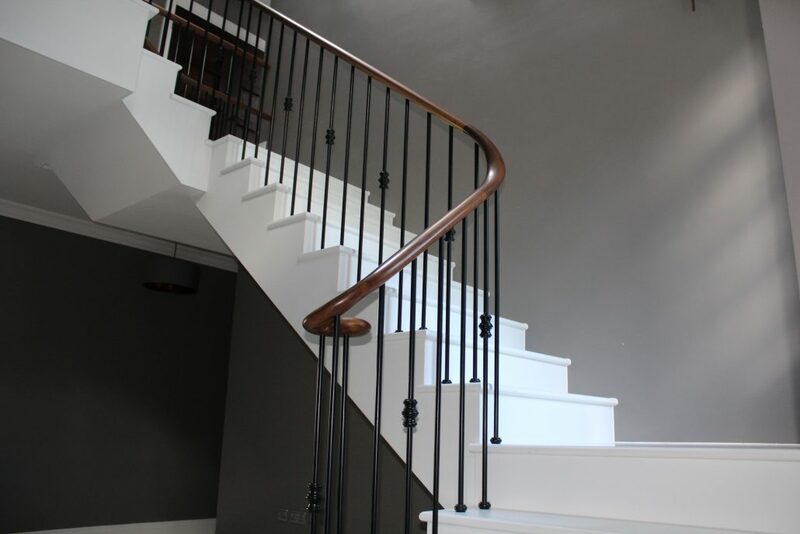 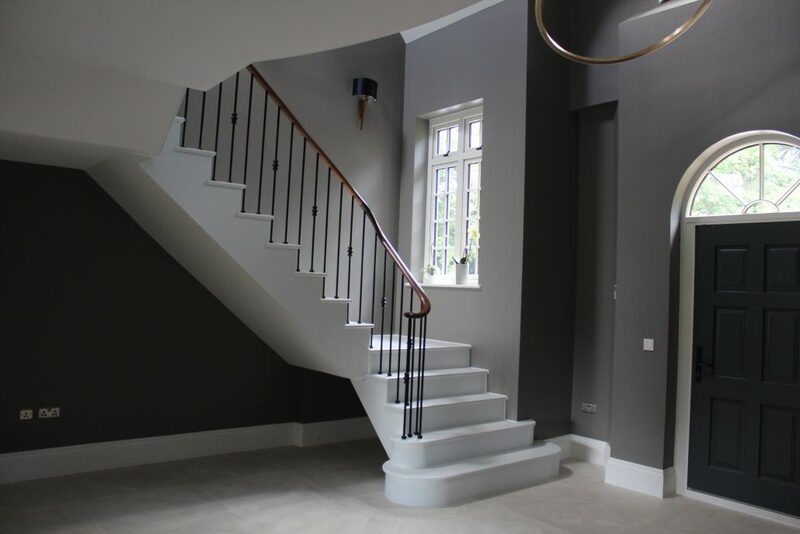 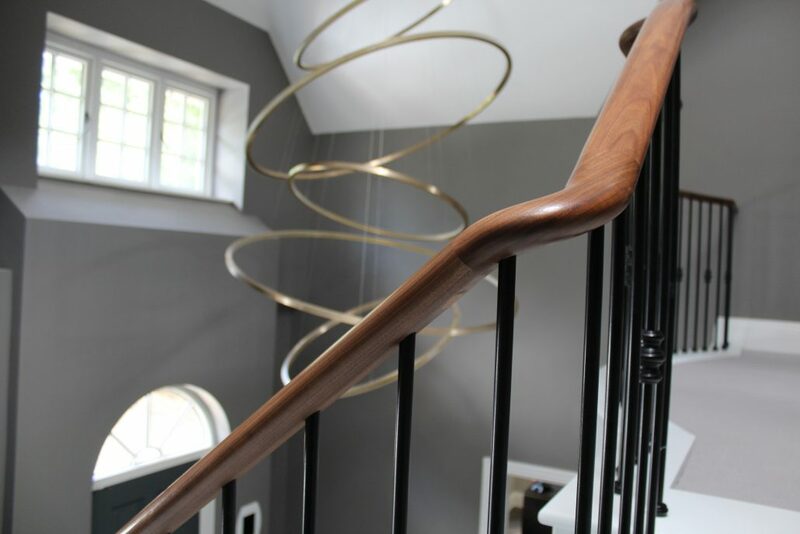 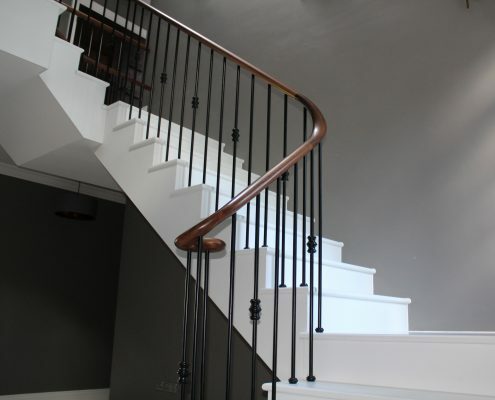 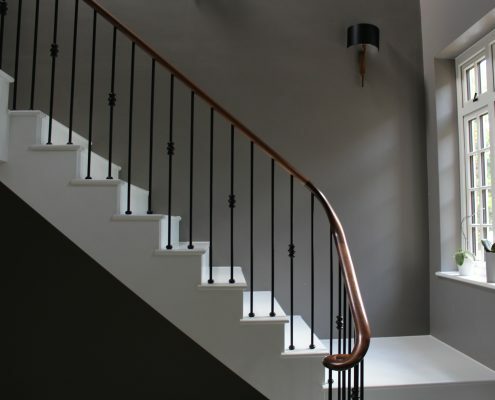 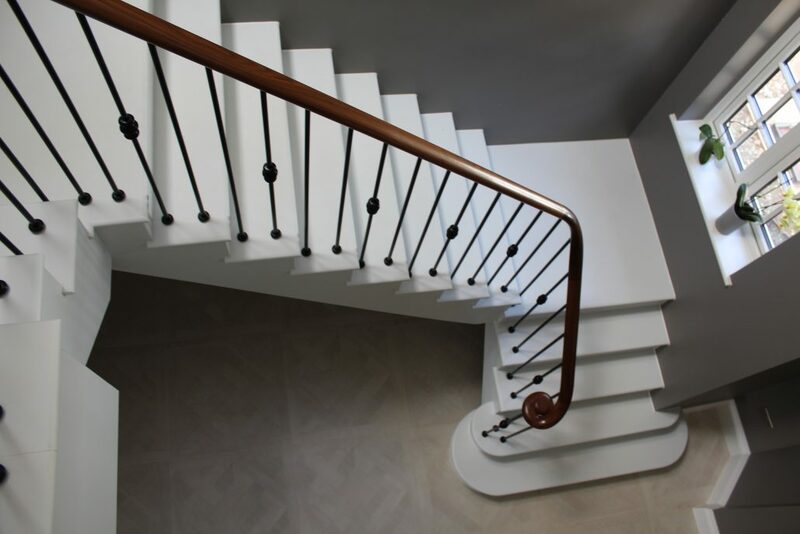 The staircase was cast concrete, then clad in marble ready for us to fit the steel balustrade and walnut handrails. 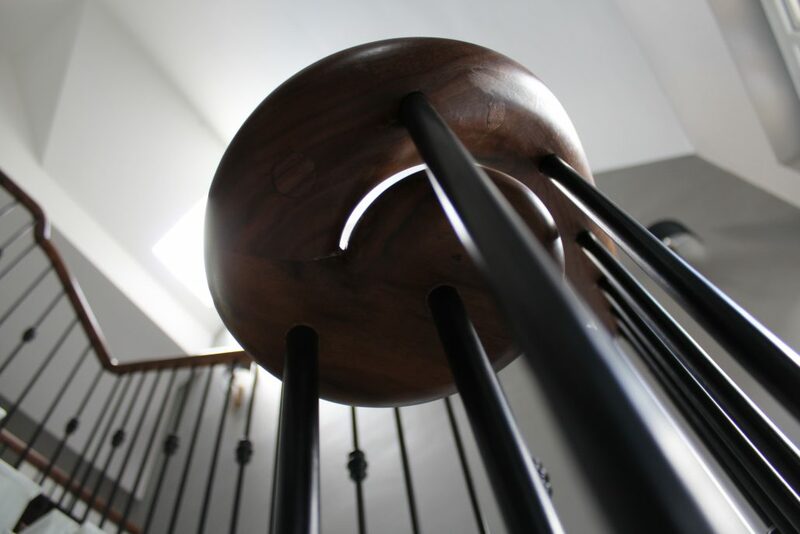 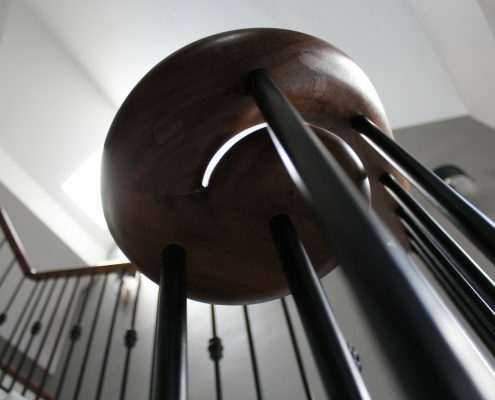 To keep costs down, and to preserve a clinical style, we didn’t use a steel core rail – instead, we individually drilled holes in the continuous handrail for the 16mm round spindles. 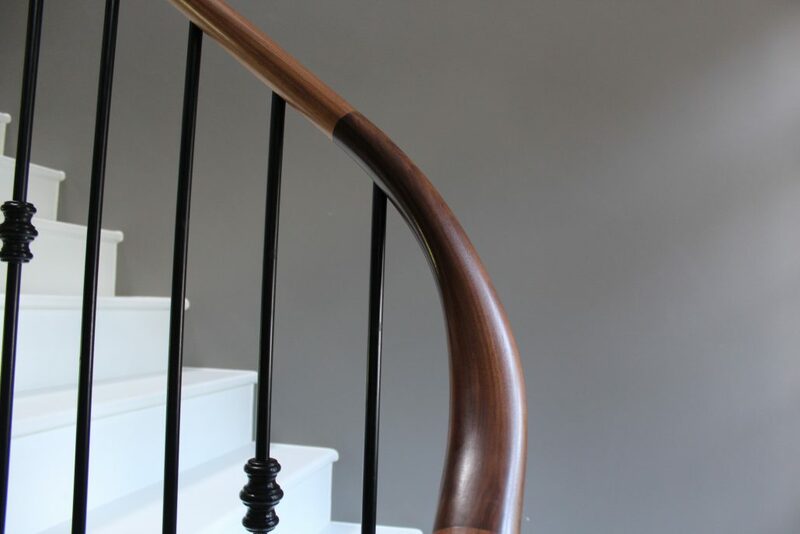 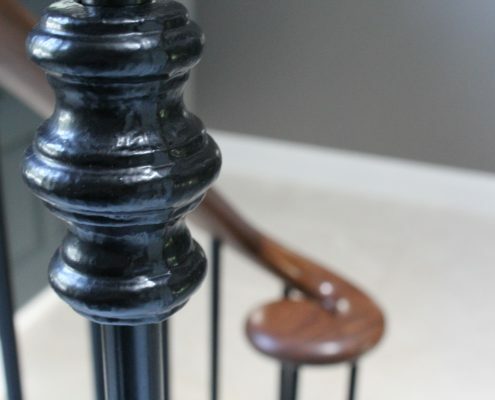 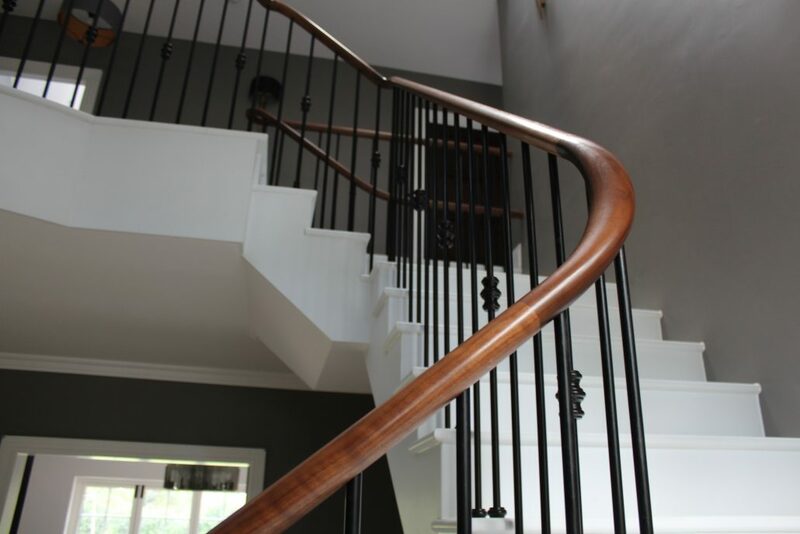 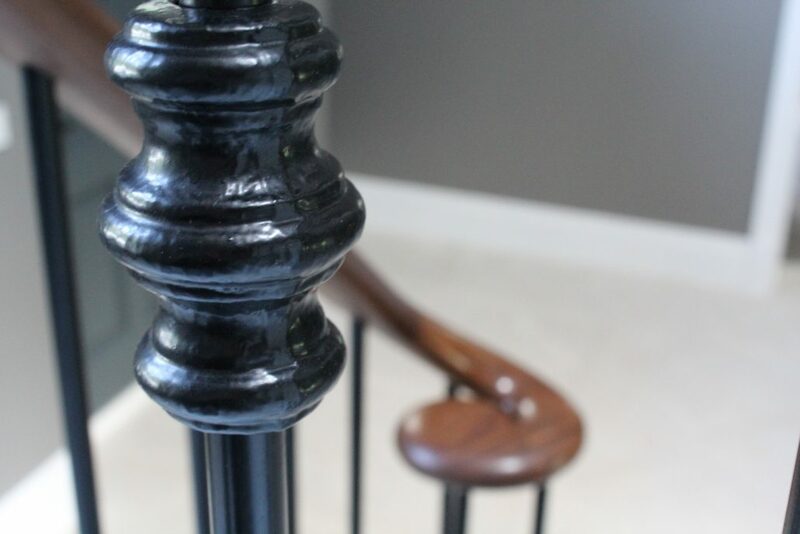 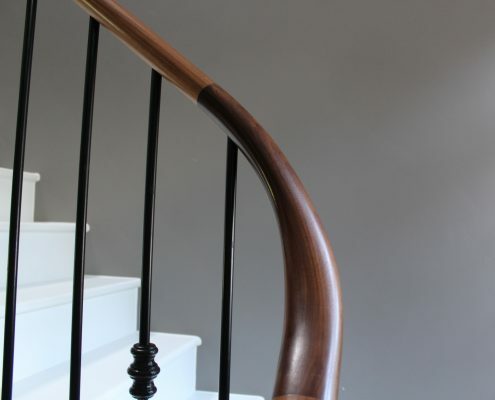 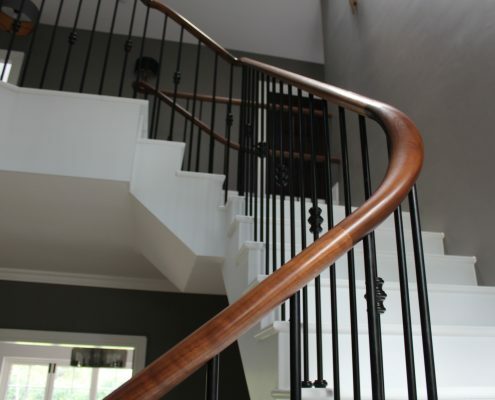 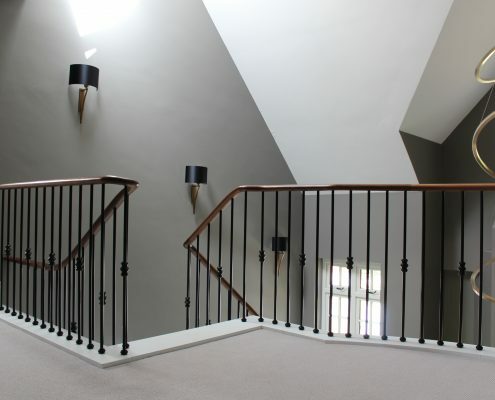 Once installed, the handrails were finished with a hardwearing lacquer, and waxed to a glass level. 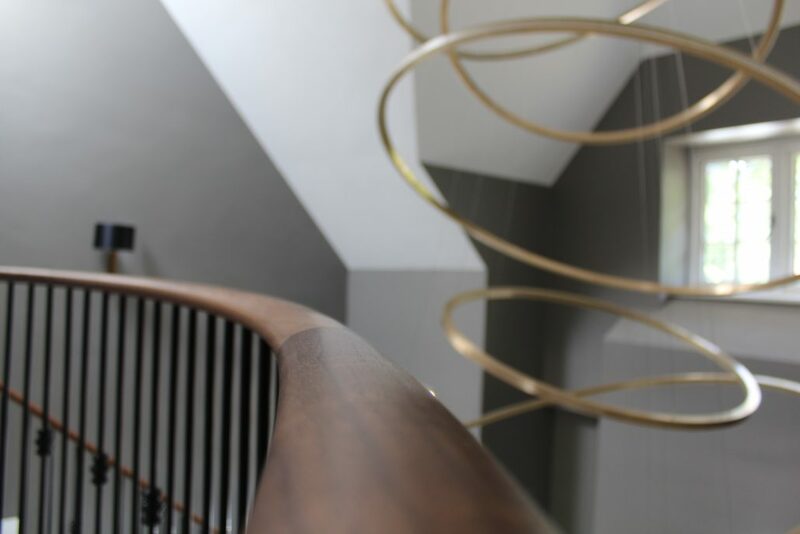 Our design team helped the client to visualise the finished staircase by creating 3D renders and an interactive model, unlike any other UK supplier can offer.